Latest discoveries say that those creatures had feather skin, not scales! i think this image is a fake. 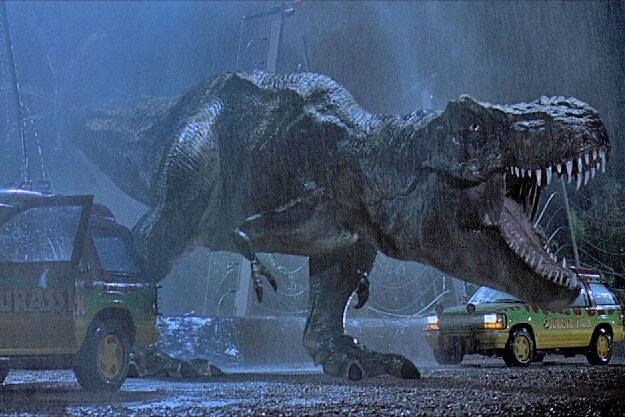 T-rex isn't from the Jurassic period :( "Fossils are found in a variety of rock formations dating to the Maastrichtian age of the upper Cretaceous Period, 67 to 65.5 million years ago."